Is my dream of MBA from a good B-School abroad a possibility? My name is Sid. Just read your article about GMAT. I have always been interested in an MBA from a good business school from overseas, but due to my poor profile never pursued that dream. I am scoring around 95 percentile in mock CATs (this should give you an idea of where I stand in GMAT). I wanted to know which good b-schools can I think of with my profile. work ex – 1.5 years as a Statistical Analyst in a leading software consulting firm. Kindly tell me what can be done about it and any additional insight from you would be really helpful. Thanks for your patience. Since your profile is not sound, it took a while for our team to go through the universities that are safe and sound for you to apply. Yes, they are not Ivy League schools, but they are good enough with course, pedagogy and the immediate context. Kindly look at the list of the universities herewith. The list given here is indicative schools. When you really think seriously and seek mentoring for GMAT and admissions abroad, a great deal of work has to go. Moreover, since you are serious now about your studies and career, I am sure you can strengthen your profile with some serious research and writing in your area of interest. Since you are scoring 95%ile, push yourself and get a good score 99.5%+ percentile and make it to a sound B-School in India. Simultaneously, keep working for GMAT and take it in the next 6-8 weeks and set the process of applying going for overseas B-Schools. Mail me on sreeni@careerlauncher.com if you need any mentoring and help for preparation for GMAT etc. Many a CAT-taker usually thinks that doing an MBA from overseas is prohibitively expensive. 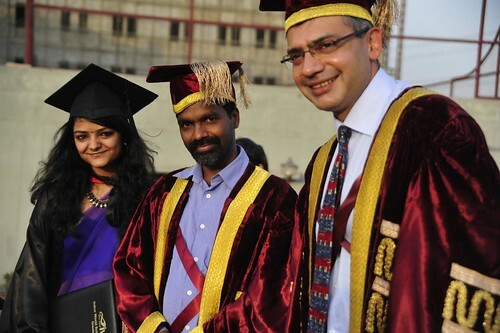 A few do think about a second MBA from an IVY League institution after a few years of experience post MBA in India. Having observed the management education space since 1991, and having mentored MBA aspirants who aimed at B-Schools in India and also those who only wanted to study abroad, I thought I should write a brief note to help every aspirant of MBA. In Indian context, any entrance exam is competition intensive. Of course, the one who is purposeful, determined and disciplined does manage to compel the IIMs to send across the call letter by virtue of his or her performance in CAT and Interview stage. Still there are many who are very good, but make do with an MBA from not so good an institution. From that perspective, every CAT taker should look at GMAT seriously. • Choice of Courses – The best of the universities abroad offer such a varied choice of flexible programmes wherein you can pick and choose courses / electives not limited to the courses that B-School offers. One can pick courses from varied departments of the university based on your interests. • Highly ranked Universities – Most of the universities that you hear about, or will aspire to be in and where many Indian students regularly get admitted to are definitely ranked far higher than any of the Indian Institutions in the global rankings. • Exposure to global business environment – Most of these universities are trend-setters in management education – approach and pedagogy; many faculty are bolstered by the sharp intellect that have contributed immensely to paradigm shifts in doing business. The institution-industry engagement hence is of very high standard, there by offering exposure to world class business environment. • All round development – Most of the programmes attract students from varied countries, cultures and work experiences; the opportunity such an intense and engaging programme offers is beyond compare from the perspective of personal development. • Home to the Best Companies – The best of the business schools are in the vicinity of largest business centres of the world that is home for the best of the Companies. Actually many of these universities have been the craddle for many of these world class companies when they were conceived and nurtured to the extent of the universities even having stakes in these companies. • Global Citizen – Most of the graduates, if keen, are gobbled by the corporates to be posted in countries across the world. A few years in any of these corporate makes you a global citizen, looking at every challenge in so many perspectives. • Higher Return on Investment – Though the fees that you pay for these programmes are multiple of what you invest for programmes in India, including IIMs, the kind of salaries that are offered to the graduates from these institutions are so huge that a graduate from an Indian institution will take a decade or so to match the salaries offered even at the campus placements of the overseas schools. Your returns are in the range of 3 to 4 multiples of your investment of the programme. Kindly check the WHYGMAT.ppt on the SIS for greater details on fees at top B-schools of the world and the average salary offered at the placements of these institutions. Why should you take GMAT anyways? B-Schools across the globe look for GMAT (Graduate Management Admission Test) scores for admission for their programmes. When you are preparing for CAT, anyways you have more or less prepared for everything that GMAT tests you on. As your GMAT score is valid for 5 years (the best of the colleges prefer score within last three years) it makes sense to prepare and take GMAT as you take CAT. You may use the scores now or in 3-4 years time if you look towards global career! Also scoring 720+ in GMAT is easier for any hardworking CAT-Taker than scoring a 95%ile in CAT. This score is good enough to open the doors of the best of the world class business schools; Of course many of the top Indian business schools also accept GMAT scores for admissions. So GMAT offers an alternate route to enter even a few of the Indian B-Schools. 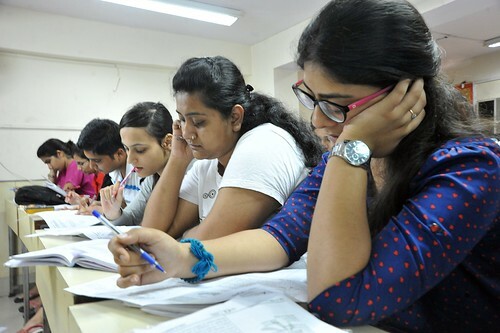 Which are the Indian B-Schools that accept GMAT scores? As per the information published on mba.com on 10th Dec, 2014, the following are a few of the top B-schools in India worth mentioning that accept GMAT scores. For more schools, visit mba.com of GMAC that is the conducting body of GMAT. For more details kindly visit the website of the B-school you are keen on. What more you should know about GMAT? – GMAT exam can be given more than once. However it is not recommended more than 2 times. – Eligibility – Working Professionals, Graduates and undergraduates. – The test is conducted throughout the year, except on Sundays and National Holidays. – Passport is mandatory to take GMAT exam. b) Minimum score – 200. – Average CL student scores – 715; Many have scored 750+ too. What are the programmes overseas that one can apply after taking GMAT? What does a serious CAT taker need to work on to crack GMAT? a. Verbal section – orientation towards GMAT slant to English – mostly the topics covered in RC, critical reasoning and Verbal reasoning are American or international issues. Hence a little bit of practice will help you in reorienting yourself. c. AWA – Analyzing or presenting arguments in a cogent way for a given theme, topic or argument. Realistically speaking, a serious CAT taker would need about 3-4 weeks to be ready to take GMAT and crack it. Scoring 720+ is an easy possibility for any CAT Taker. Quite a few this year have already scored 750+. Take the leap. Do not wait. I shall wind up this article by simply advising every CAT taker, unless you are in the 98%ile bracket in mocks, to look at GMAT also as a potential route to get into your dream B-School. Those with work-ex, you should take GMAT and even target the overseas B-schools. Kindly check the WHYGMAT.ppt in your SIS that has greater details. Get in touch with the counselor at your Career Launcher centre to know about all details of the GMAT Bridge and GRE Bridge programmes for CL CAT Takers. Write to sreeni@careerlauncher.com for more information. Conquer self, conquer the world.